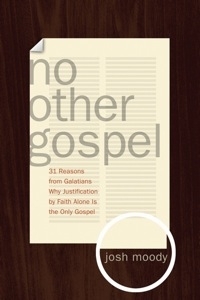 As fallen human beings we are quick to deviate from the true gospel, for, as Pastor Josh Moody writes in No Other Gospel, “we tend toward human gospels.” Believers must constantly battle to maintain the purity and simplicity of the gospel. Paul was acutely aware of this as he wrote his letter to the Galatians. He was writing to an established church—experienced believers who had started to slip in their gospel witness. About the Author: Josh Moody (PhD, University of Cambridge) is Pastor of College Church, Wheaton IL. He was formerly Senior Pastor of Trinity Baptist Church, New Haven, Connecticut, serving the Yale community and surrounding New England region. He is also the author of Authentic Spirituality and Jonathan Edwards and the Enlightenment.